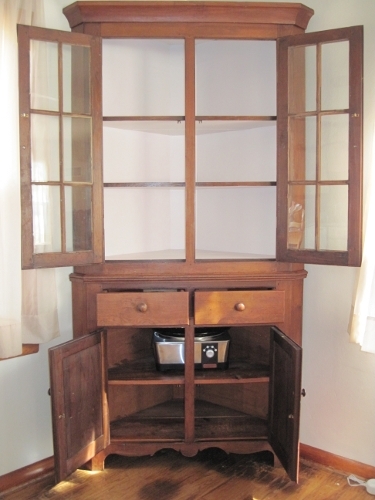 In my last post, I'd mentioned a "new" corner cupboard that has come to reside in my house. I'd also talked about a set of glassware which has been part of my household for some while, but has only now gotten displayed. So I thought I'd take some photos to show. 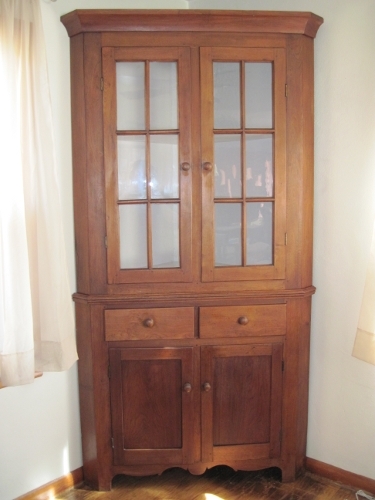 Here is a shot of the cupboard with the doors and drawers shut. A shot of the cupboard with doors and drawers open. My 6 qt crock pot has found its home already. A shot of my lovely Depression Glassware inside the Corner Cupboard. 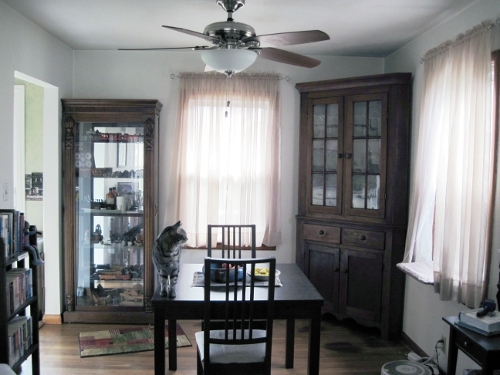 A shot of my "dining" room with corner cupboard and curio cabinet. Plus my fab IKEA table and chairs and my lovely Hunter ceiling fan. Didn't realize you'd got your table. Your dining room looks great! 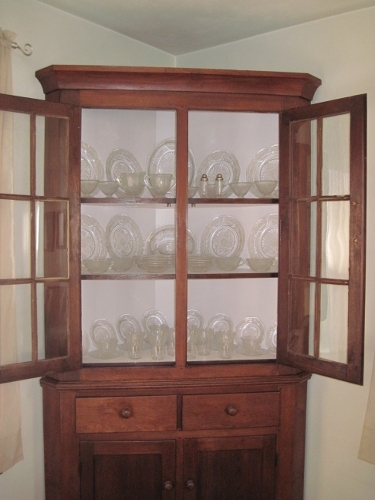 And the china cabinet looks fab! Wow, that's really cool! My mom had a china hutch when I was growing up that I've always wished she had kept. We've got some depression glass too, though it's mainly pink with a few green pieces as well. The clear looks really beautiful all together! Beautiful. Nice work Team trinalin.